Love the customization variety I was able to choose from. Durable bag with a spacious amount of room. Thanks CEP. Great whole sale bag to order for large events. My business customized our logo on the bag to help promote business & it worked. Thanks CEP. The design we made on this bag came out remarkable. Not only am I going to be purchasing these bags again, but I will also be placing orders on multiple eco-friendly bags in the upcoming. Highly recommend investing in these bags or a product that Custom Earth Promos has to offer. Thanks for being so reliable. All the bags came so quickly just in time before my event. Sold out on this bag before the event was even halfway done with. I will for sure be a repeat customer with Custom Earth Promos. I carry this bag around with me almost everywhere I go. Can be used for multiple different things. The handles on this bag are surprisingly super comfortable on my shoulder. Recommend this eco-friendly long lasting bag to all friends and family. Good whole sale bag to order for large events. the size of it is perfect for folders and paperwork handouts. It worked well for our needs, we will be ordering this bag again. Rasberry and red colors suited our companies logo well. I suggest using these two colors. We took the time to design our bag correctly the way we liked, custom earths design department worked with us the whole time and was very patient with all of the changes we made. In the end the bags came out great, now having been thru the process the next time we order from them wont be as much of a pain as the first order. Very professional company I now use them for a variety of products, 5 stars! Custom print looks on point and the service we received throughout the whole process was great. GOOD TO USE AS A GIVEAWAY FOR CLIENTS, IT WAS RECEIVED WELL.. Very cheap for a quality bag.. We ordered a large quantity and they came on time. I highly recommend this cotton bag! very impressed with the finished product, I will be a repeat customer of custom earth based off this last order. The cotton reusable bags in my opinion are the best made bags on this website that this company offers. They have a great feel to them and are affordable. We only use the cotton bags for our marketing and promotional needs. They always come how we ordered them and on time. I ordered a large bulk order of this model and the RB6. These bags are made well, I personally like the look of the cotton bags I think they look more sophisticated then the RB bags. Forest green color looks sharp in contrast to the natural cotton, I am very happy we selected this color. The color imprint on our bag is superior, I would recommend this cotton bag. We wanted an average sized reusable bag with style, there sales rep pointed in that direction and we liked this bag. It serves us and our customers well, I have now reordered this bag three times. It is always a quality product, I suggest this bag. We always get compliments on these bags, I have recommended custom earth promos to many of our customers and I know a couple of them have even placed orders for reusable bags of some sort for there own uses. Perfect for tradeshows, in my opinion it is a step above the non-woven poly bags. I liked this option for the variety of colors that it comes in. We ordered six of the colors with our same logo on each bag, we wanted to have a variety. All of the colors looked great and the imprint of our logo was the same on each bag no matter what the color of the handles. It was great to work with them on our reusable bag project. I was worried about what type of quality we would get on the print but it looks great. I would definitely order this bag again for another event. We custom designed the handle straps to match our logo, the custom color process was fairly easy and it was exact to our sample we supplied them. Thanks custom earth promos for helping me save the day with this reusable cotton bag!!!! We had the luxury of ordering these bags way in advance for our event. So we took our time selected a couple different reusable bags from custom earth and custom designed each model. The finished reusable bags that we received were spot on and beautiful. This was a very successful project for us and one we would do again with custom earth promos. Good construction the handles are sewn extra for support, I am confident handing this bag out to my customers that it will hold up and last use after use. I worked with there graphic designer to help with the overall look of our reusable bags. I am a complete novice to design and reusable bags so it was a tremendous help to use them. I really suggest using this service that they offer my bags came out great because of it. This was the way that we decided to promote our grand opening. All the bags were received well by the attendees at our grand opening. I am confident that this bag will last use after use for my customers. I have tested it out the day we received it and it is a quality bag. 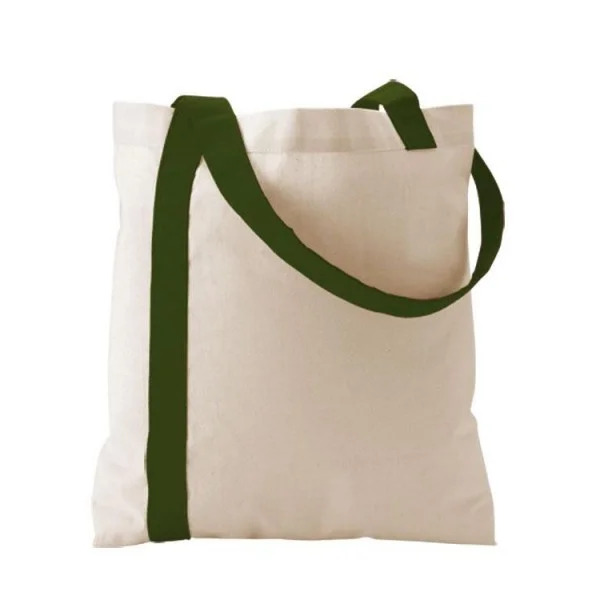 Boasting vibrant style and durability you’ve come to expect from our cotton products, our Wholesale Organic Cotton Striped Totes will have onlookers doing a double take when they pass by your clients toting this bag! Featuring colorful and lengthy 24” handles for ideal adjustability and comfort, this tote also is of an idyllic size for clients who carry around a great deal. 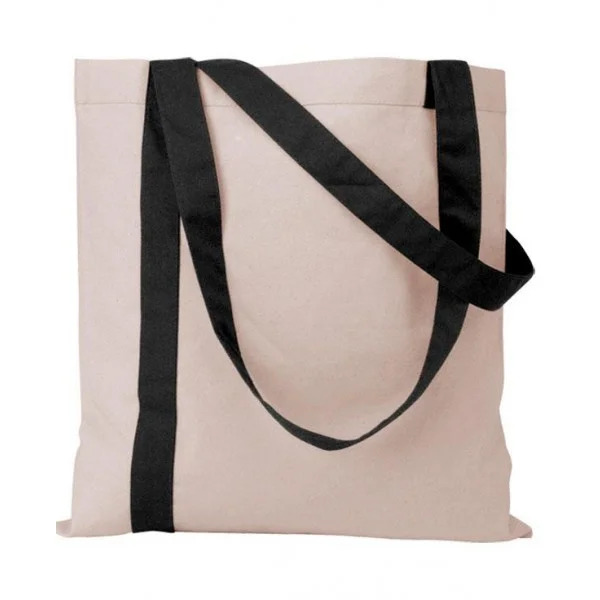 Purchase this cotton striped tote today for unsurpassed brand visibility! 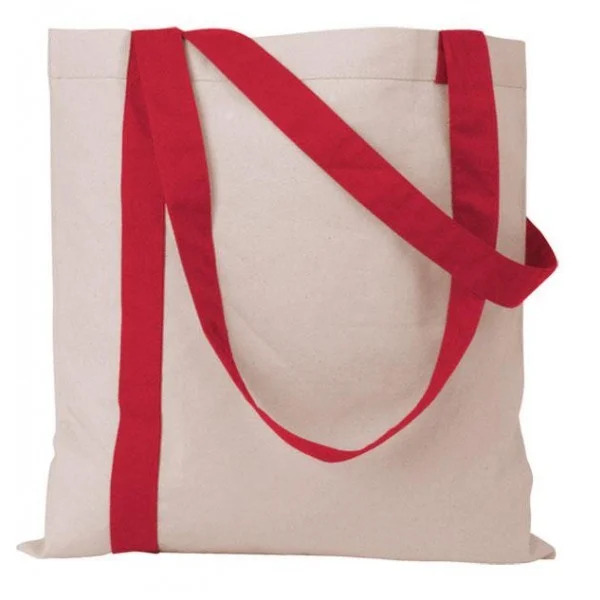 If you are seeking preeminent brand recognition, look no further than our Wholesale Organic Cotton Striped Totes! Including a large imprint area for the design of your choice, you can make a positive statement about your business as well as the environment. This versatile tote is made entirely of cotton and offers superior toughness and weather-resistance. Your clients will love this great tote! Among the most fun organic cotton totes offered, our Wholesale Organic Cotton Striped Totes are sure to please those clients who are looking to exhibit their personality via this trendy accessory. Arriving in 9 different colors (Black, Forest Green, Lime Green, Navy, Purple, Royal, Teal, Raspberry, and Red), the stunning hue of the color stripe merging into the elongated 24” handles accents the refined natural color of the rest of the tote. Combined with the significant 15” W x 15.5” H size and 8” W x 8” H imprint area, your clients will have no trouble advertising your brand wherever they travel with it. This tote is more than just a pretty face though – it is incredibly durable and versatile due to the cotton fiber with which it is manufactured. Cotton sports innumerable qualities which make it ideal as material for tote bags such as high tensile strength, great water-resistance, maximum comfort and softness, and easiness with washing and cleaning. Your clients will have no issue with carrying heavier items and need not be concerned with unwanted rips and tears of the tote. Perhaps cotton’s greatest attribute is its eco-friendliness. It is naturally produced without the aid of harmful chemicals or pesticides and lends itself to being green, boasting sustainability, biodegradability, and renewability as just a few of its ecologically sound features. We endeavor daily to provide the best customer service possible and your satisfaction is of the utmost importance to us. All of our products are constructed exactly to your design specifications and our experienced overseas manufacturing plant assists in delivering and fulfilling all orders within the requested time frame. 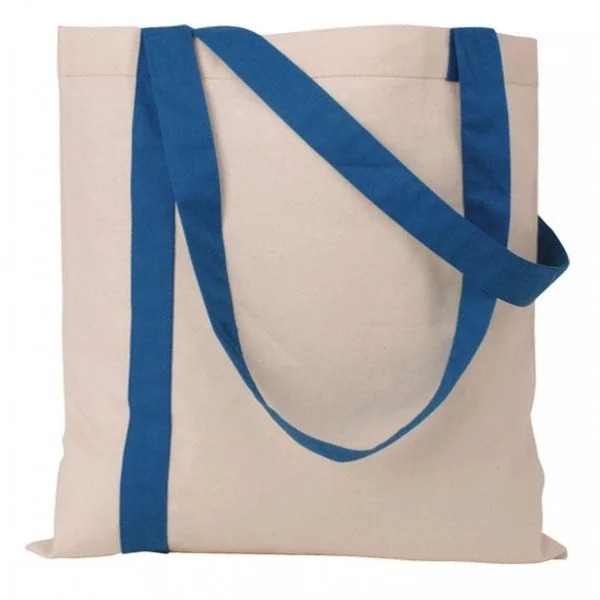 With a full range of customization options and colors available, order our Wholesale Organic Cotton Striped Totes today!